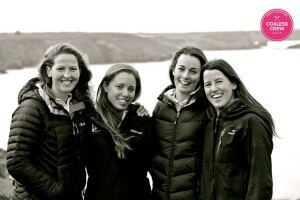 Rowing the Pacific Ocean is no easy feat, the Coxless Crew based in England are taking it head on. They are aiming to break 3 world records: 1 being the first female team to row the pacific, 2 first team of 4 to row the pacific, and 3 fastest Pacific Row. Along with the records their goal is to raise over 250,000 pounds, for two Awesome UK based charities, Walking With the Wounded which supports women injured on front lines of war, and Breast Cancer Care which supports women and families fighting through the trauma of breast cancer. Their row will be completed in 3 stages and will be done completely unsupported. Starting in San Fransisco and ending in Cairns Australia. WeightLiftingGloves.com is a proud sponsor of the Coxless Crew and is supplying hand and wrist protection for their journey! You can pitch in to help the Coxless Crew directly through their Buy A Mile program. Check out the short video below which highlights the motivation behind the Coxless Crew, best of luck ladies! !